People give me too much credit. I admit I’m a social media geek, and a strong apostle of LinkedIn , but I felt like a novice when I read an article recently on an eclectic site called BOOLEAN BLACK BELT SOURCING/RECRUITING. I don’t expect you to read it all, but I will say it appears to be the Holy Grail of LinkedIn search articles. That, of course, is what the word ‘boolean’ (pronounced boo’-lee-uhn) refers to…a type of specialized search language utilizing certain “switches” and syntax. Here’s the article: What’s the most effective way to X-Ray search LinkedIn? Even without all that’s presented in this exhaustive article, I still maintain that LinkedIn, with its native free-subscription search functions far supersedes any mechanism available on any of the other social media sites. Add to that the fact that LinkedIn is populated by more serious, business-minded members,and I think you will find a convincing argument for spending more time on this network. Voice actors everywhere can take advantage of the LinkedIn groups feature, especially…and the access those groups give to people who are in a position to hire. I’ve written about LinkedIn extensively over the years…just type “LinkedIn” into the search box at the top of my blog home page, and you’ll see how many. I personally like: Eleven LinkedIn Leads. 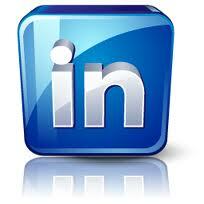 Another of my favorite LinkedIn resources: The LinkedIn Blog, and How to use LinkedIn Signal.